1. 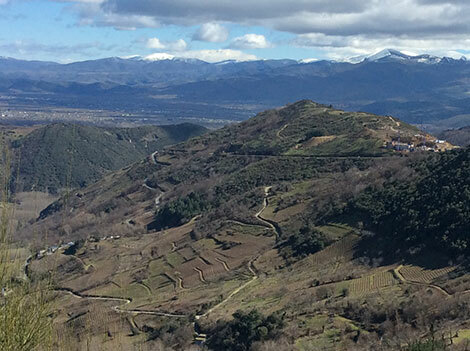 Bierzo: a wide valley surrounded by mountains. 2. Misericordia Bello and Ricardo Pérez Palacios announce the new categories. 3. Labelling requirements for village wines. Photo credits: A.C. and CRDO Bierzo. Just a few weeks after Rioja gave the go-ahead to a new single vineyard category, Bierzo takes the lead with a Burgundy-inspired classification, the most ambitious to date in Spain and fully in line with the Matador Manifesto signed by a large number of wine professionals in January 2016. Bierzo’s Regulatory Board unanimously approved last week a classification starting with regional wines, followed by village wines, vino de paraje —similar to Burgundy’s lieu-dit— and single vineyard wines (Cru) which could eventually be upgraded to Grand Cru. The move is a result of three years of work after private producers won the elections to the region’s Regulatory Board under the presidency of Misericordia Bello. Soon after the election, a working group was created to discuss amendments to the Consejo’s specification sheets. Ricardo Pérez Palacios, who together with his uncle, maverick Priorat producer Álvaro Palacios, is behind some of the most exclusive and expensive wines in the area, has led the technical side of the new regulation. The new categories have been approved faster than expected as they only concern labelling matters instead of global amendments to DO rules which must be ratified by the EU. The shortcut was suggested by ITACYL (the Technological Institute of Agriculture of Castilla y León) because according to European laws, wines can be linked to their place of origin if 85% of the grapes can be traced. The new law in Bierzo will go further and control 100% of the fruit. After pioneering the village wine category in Spain in the 2000s, Priorat’s Regulatory Board will shortly apply the same labelling regulations used in Bierzo. The new designations may be used from the 2017 vintage onwards, a year with severe frost and hail in Bierzo. Village wines and vinos de paraje will be the first to appear. As for single vineyard wines, a five-year traceability period is required to be called vino de viña clasificada (Cru), and 10 for gran vino de viña clasificada (Grand Cru). Yields will be limited in each category: 20% lower than the current figures for village wines, 25% for vinos de paraje, 30% for Crus and 35% for Grand Crus. Quality requirements will also apply to the age of the vineyard but are yet to be defined. Villages have been defined jointly with José Ramón Rodríguez Pérez, cartographer and vice chancellor of the University of Léon in Ponferrada. Different sources of information have been used including soil studies, climate data and a register of vineyards. “The classification considers both villages and hamlets which in some cases may overlap”, explains Ricardo Pérez Palacios. 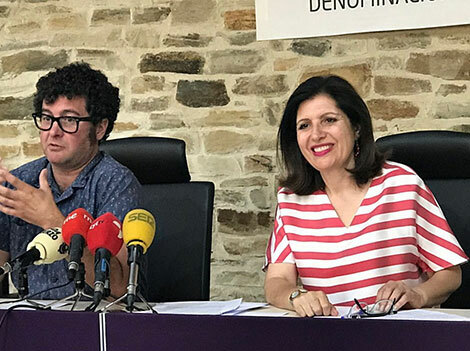 “In an attempt to please everyone, producers will be allowed to state the name of the village, the hamlet or both.” For example, Valtuille de Abajo is a hamlet of Villafranca del Bierzo and Valtuille de Arriba is a hamlet of Cacabelos. Hamlets are important within Bierzo’s administrative boundaries. In fact the production area of the appellation encompasses 21 villages and over 100 hamlets. The picture is far more complex than in Priorat, with12 villages. Moreover, the village name also includes the hamlet. Corullón for instance, is a village comprising the hamlets of Corullón, Hornija, Viariz, Dragonte, Cadafresnas, Los Mazos, Horta, Melezna and Villagroy. 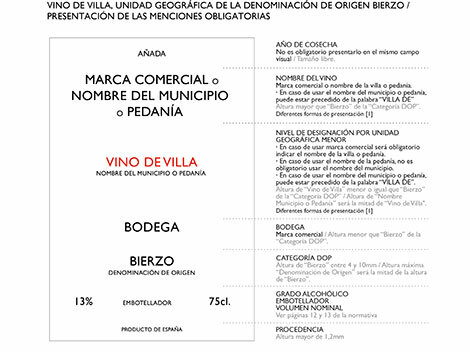 Logically, producers will likely use the better-known villages and hamlets on their labels (see an example of a village wine label on the slider above). Does this sound too complicated? “The best thing is that it brings novelty to wine lovers who appreciate differences; they will be able to compare wines from different villages and from the same village; this really adds value provided that the origin is certified,” reckons Ricardo Pérez. Pérez Palacios is aware of the considerable amount of work it may take to solve potential conflicts in terms of geographic boundaries, vineyards stretching across two villages or the names of parajes —those used by locals don’t always match the names in the land register. Each particular case will be individually studied and discussed. What happens when a paraje has already been registered as a commercial brand? In my recent visit to Priorat in May I was surprised by the generosity shown by many producers who were willing to share their brands with other wineries so that the origin appears clearly on the label following the Burgundian example. It seems that similar feelings have reached Bierzo. The ultimate goal of this land classification is to revitalize the wine industry and increase the prices of grapes and wine. With an impressive heritage of old vineyards, Bierzo is one of the few Spanish regions where young wines made from 50-year-old Mencía vines can be bought for €4 or €5; this would be unthinkable in other wine producing regions. Smaller regions seem to be more dynamic and flexible when it comes to reach a consensus and establish new categories. In Rioja, cooperatives and the ARAG-Asaja trade union rejected the creation of village wines. In contrast, the vote was unanimous in Bierzo. The fact that Bierzo and Priorat will use the same categories in their respective classifications strengthens the Burgundy-inspired model in Spain, a framework which could be replicated in other wine regions. The Palacios family casts a long shadow. Both Álvaro Palacios in Priorat and Ricardo Pérez in Bierzo have been the driving forces behind the certification of origin in their respective wine regions. The Consejo is also working on extending the production area but this issue requires a change in regulations. According to Ricardo Pérez, “there are 10 villages which have traditionally had vineyards and could be part of the DO. Apparently they were excluded in the past because there were no cooperative members from those villages but their names appear in official registries, have vineyards and are part of the Bierzo region. It is only fair to give them a chance to make wines in the DO”.